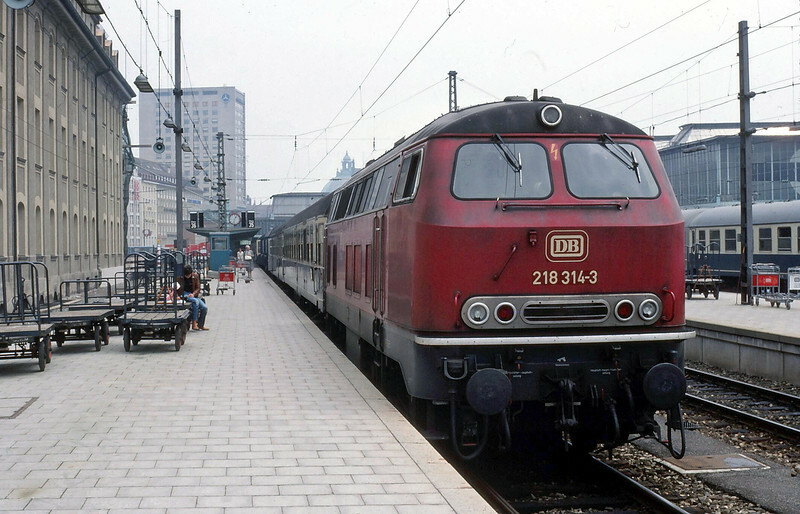 Class 218 Diesel Hydraulic waits at Munich Hbf to depart for Bayrischzell in the Bavarian Alps as part of the Bayerischen Maximiliansbahn. The line is now operated by a private company Bayerisch Oberlandbahn. June 1981.